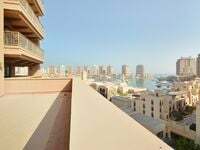 Three Bedroom Apartment At Porto Arabia! Spacious One Bedroom Apartment @ Porto!! Superior Lifestyle at The Pearl 1BR Apt. 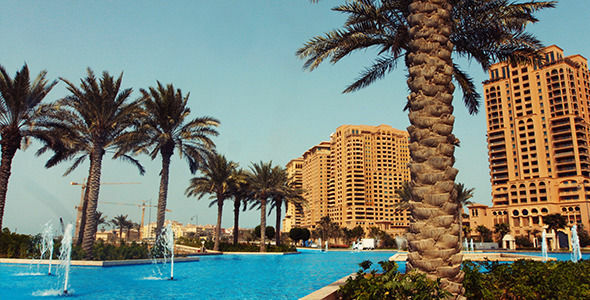 Fully Furnished 1Bedroom @ Porto Arabia! Semi-Furnished One Bedroom w Water View! The swift growth currently taking place in Qatar is astounding. The country is rapidly flourishing. Qatar has become an important entertainment hub and an international business center that attracts investors and visitors from around the globe. Because of this rapid growth, a wide array of new projects is developed in Qatar every day, including new entertainment facilities, new highways and also new residential developments. One of these new projects is a major land reclamation project known as The Pearl Qatar. The Pearl is situated east of West Bay Lagoon in Doha. It adds over 32 kilometers to Doha’s coastline and almost 19,000 homes that can house up 45,000 residents. Spreading over an area of four million square meters, this man made island is continuously being developed. New residential projects, restaurants, cafes, retail units and entertainment facilities are added to The Pearl every day. This is why residents love The Pear, and why apartments for rent in The Pearl are very popular. The Pearl is a new development, thus it features first rate facilities, excellent amenities and world class infrastructure. In addition to that, The Pearl boasts numerous shopping and dining options, as well as a multitude of entertainment facilities and kids’ playgrounds. Especially with the new addition of Medina Centrale, which is a popular hub for social activities and dining options. 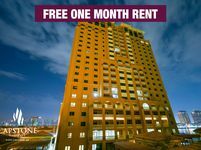 You can find the best apartments offered for rent in Qatar within The Pearl, it is indeed a very distinguished area in the country. Most apartments for rent in The Pearl offer amazing views, elegant design and premium finishing. 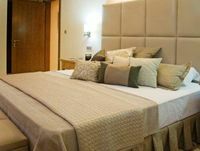 You can find all sizes of apartments for rent in The Pearl, starting from studios and cozy one-bedroom apartments, to two and three-bedroom apartments to spacious four-bedroom apartments and elegant penthouses. Moreover, The Pearl offers a wonderful place to live with a vibrant lifestyle that appeals to both families and single professionals. Additionally, The Pearl consists features a cosmopolitan community in, and that is why apartments for rent in The Pearl are popular among both Qataris and expats. Why choose to rent an apartment in The Pearl? Qatar has been developing marvelously over the past few years, new development are being built in the country every day. The most unique and the most popular one of those developments is The Pearl Qatar. 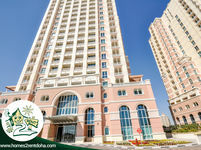 Apartments for rent in The Pearl are renowned for being the best apartments in all of Qatar. And that is because apartments for rent in The Pearl offer a truly world class living experience. The Pearl is one of the most popular developments nowadays in Qatar. It comprises premium residential units, excellent amenities and state of the art facilities. All in all, apartments for rent in The Pearl are the perfect choice if you are looking for a luxurious home in a wonderful neighborhood in Qatar.